The Association of Approved Oven Cleaners. 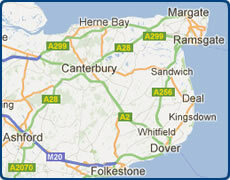 Visit Kent is the official tourism website for the county of Kent in south east England. Ruislip Oven Cleaners professional cleaning of ovens in the Ruislip area. We are a family run oven cleaning company based near Ruislip covering the Ruislip area including Ickenham, Eastcote, Ruislip Manor, Harefield, Pinner, Ruislip Gardens, Eastcote Village and Northolt. Harrow Oven Cleaners - 0208 226 5386. For Eco Friendly Oven Cleaning Harrow. Expert Oven Cleaners in the Harrow Area. Thanks for visiting Harrow Oven Cleaners for professional cleaning of ovens in the Harrow area. Domestic Appliance Repair Braintree Affordable Washing Machine Repairs in Braintree Dishwasher Tumble Dryer and Electric Oven Repair Braintree Essex. Domestic Appliance Repair Maldon Affordable Washing Machine Repairs in Maldon Dishwasher Tumble Dryer and Electric Oven Repair Maldon Essex. York Oven Cleaning Professional Oven Cleaners in the York Area Affordable Oven Cleaning Prices in York North Yorkshire. Oven Cleaning Edinburgh Good As Nu Oven Cleaners in the Edinburgh Area Including Mid Lothian and East Lothian Professional Oven Cleaning Edinburgh. Visit Thanet in Kent, Margate, Broadstairs and Ramsgate for accommodation, attractions, events, beaches and bays, restaurants and so much more to discover. Domestic Cleaners Hemel Hempstead. • Family Run Home Cleaning Company. • Not a Cleaning Agency or Franchise. • Eco Friendly Cleaning Products.